We know you have many questions as you consider whether retirement community living is right for you. Since 1998, our marketing staff has been a resource to others in the same position. Our goal is to help you arrive at comfortable decisions, right for today and tomorrow. Click here for PDF version of our Frequently Asked Questions. Here are the questions we hear most frequently and we know you have others. Please let us know more about what you are seeking. Give us a call at (504) 865-1960 or click here to ask your questions online. We are here to help you in any way we can! Lambeth House is a not-for-profit, continuing care retirement community offering independent living, assisted living, and nursing care. Lambeth House provides quality, individualized care as needed, lovely residences and common areas, and the camaraderie of neighbors and friends, plus a wide array of services and amenities that promote independence, vitality and wellness. Supportive living, which is emphasized in this Q&A, encompasses both assisted living and nursing care. Should you be interested in learning more about independent living as well, please let us know. Assisted living is for those who need assistance with a few day-to-day activities, i.e. dressing, bathing, medication reminders, or meal preparation, or for those who have short-term memory loss that hinders them from making appropriate and safe decisions. Nursing care is for those who require more care than assisted living can offer. They may be unable to dress, bathe, or use the restroom on their own, challenged to manage incontinence, or if diabetic, unable to give themselves insulin anymore. How do I know which level of care is best – assisted living or nursing care? Our experienced, caring team of nurses and social workers will work with you to decide which level of care is most appropriate. What are the advantages of community care vs. home care? Traditional houses and neighborhoods do not accommodate persons who are aging in place very well, especially as one’s need for care intensifies. In-home care, while helpful, addresses health challenges only, not one’s desire to connect with peers or participate in social and recreational pursuits. Lambeth House is a better alternative – it frees residents and their family members from the challenges of home maintenance and home-based care, so they can relax and enjoy the pleasures of living, with more comfort, fulfillment and peace of mind. Our residences and common areas are appealing and smartly designed, and care services are available here full time – all day, every day. Plus, a variety of enriching events and programs fill each day with opportunities to participate, engage, learn and explore. Do you accept Medicare, Medicaid, or long-term care insurance? We are a private pay community and do not accept Medicare or Medicaid. If you have long-term care insurance, the insurance company will reimburse you for assisted living or nursing care, per the terms of your policy. Our monthly fee provides for the following: three meals a day, daily housekeeping and bed making, utilities and cable TV, laundry, activities and wellness programming, scheduled transportation, full-time care, and assistance with activities of daily living (dressing, bathing, etc.). The monthly fee does not include prescription medications, personal medical supplies, or phone service. How do I know that my friend/family member’s care needs are being met? You can always check in – in person or by phone. We will provide phone contact information to you for the main desk and the Director of Assisted Living or Nursing Care. And, you can rest assured that a caring member of our staff is always nearby to visit, encourage, lend a hand, or just offer a smile! ANYTIME. Lambeth House is home to our residents and they can welcome guests as often as desired! Absolutely. Should the need arise, assisted living and nursing care residents have the choice of evacuating with Lambeth House or with family. 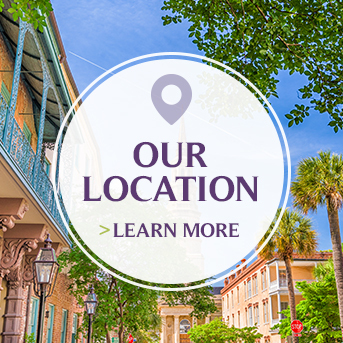 If they evacuate with Lambeth House, assisted living residents go to St. James Place and nursing care residents go to St. Clare’s Manor, both of which are highly regarded and well-established communities located in Baton Rouge. Read our full evacuation plan.